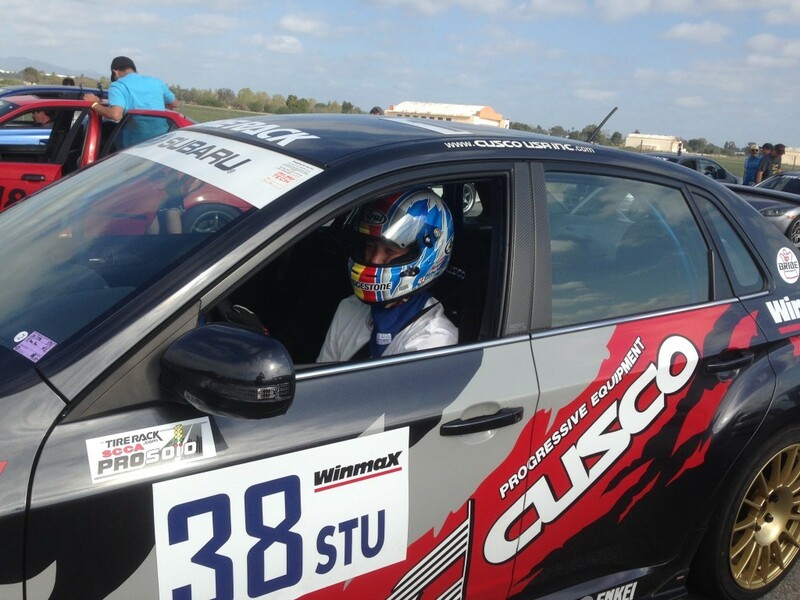 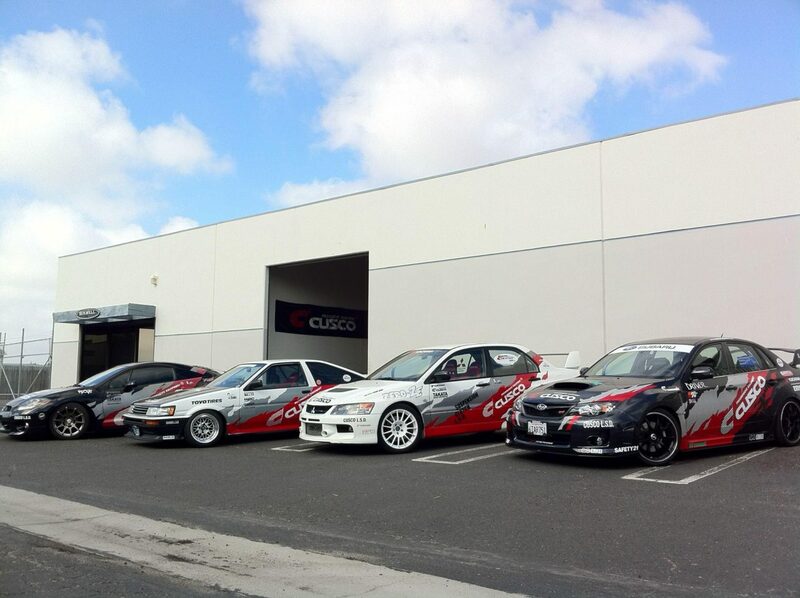 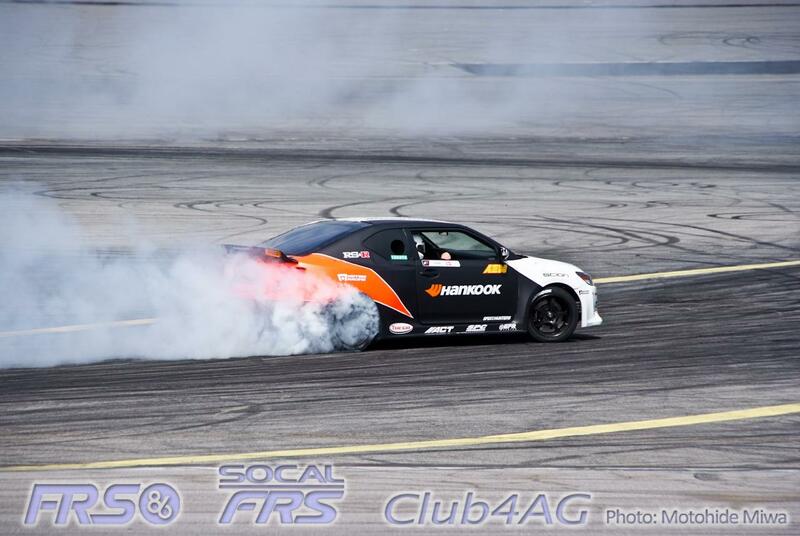 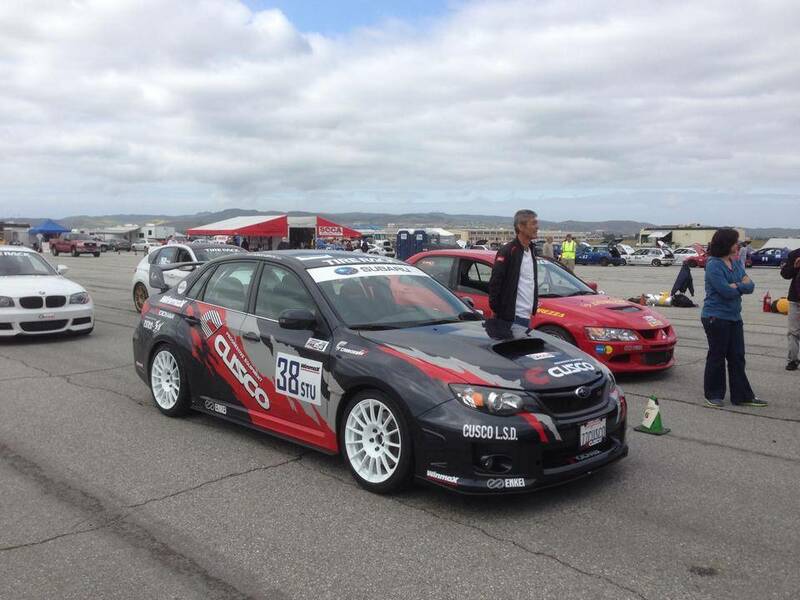 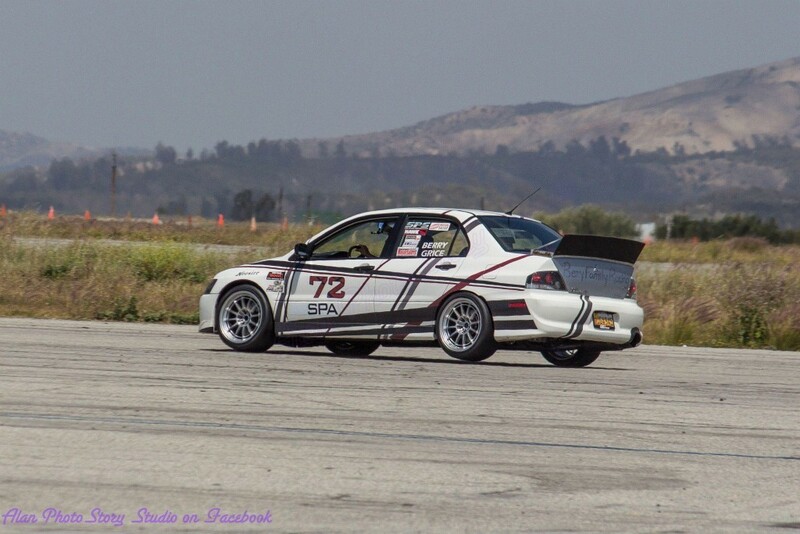 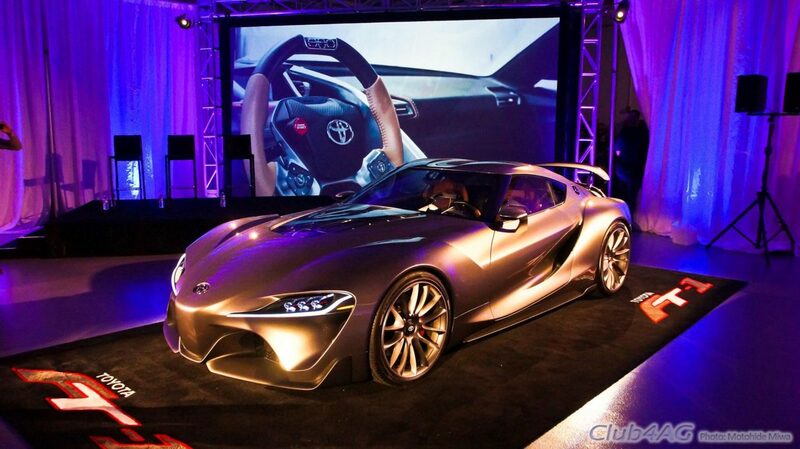 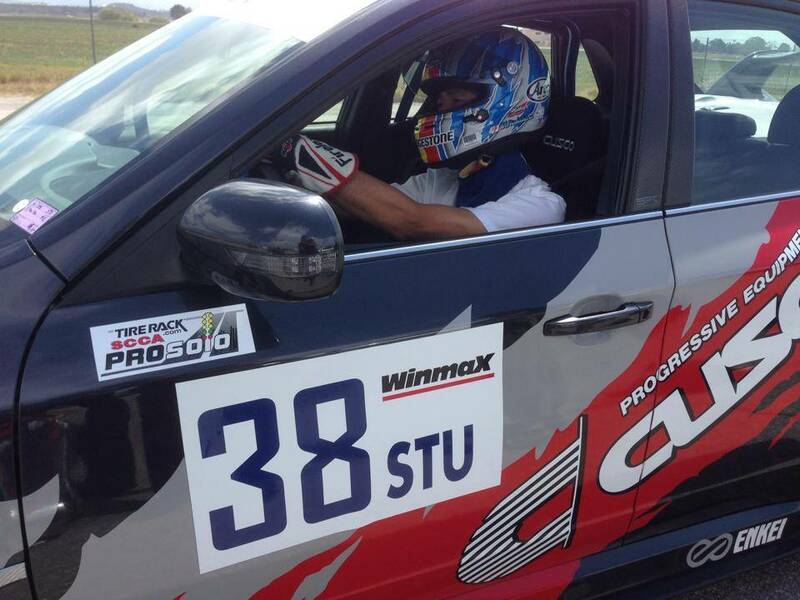 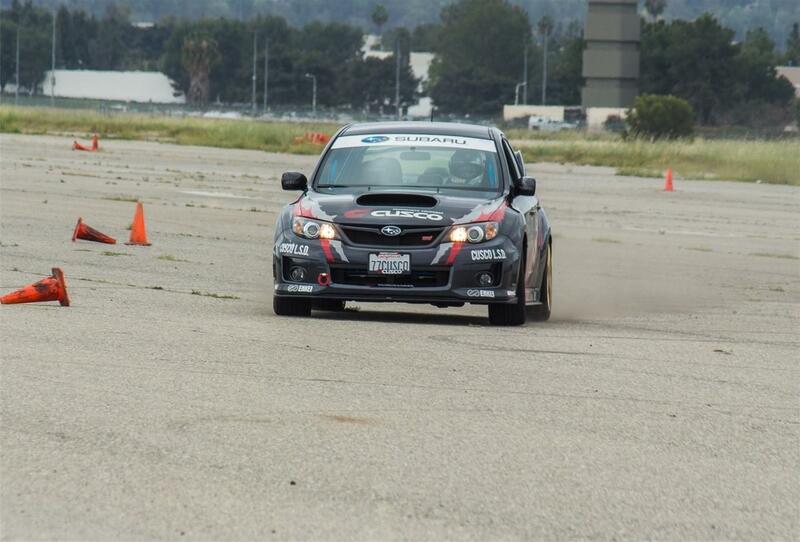 Home›Automotive News›Masaki Nishihara visits SCCA Pro Solo USA. 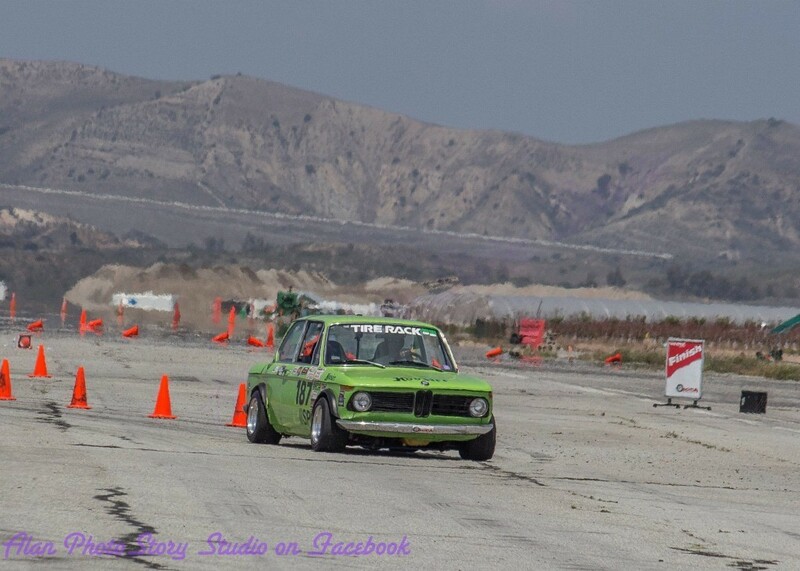 Check these photos out taken by many people. 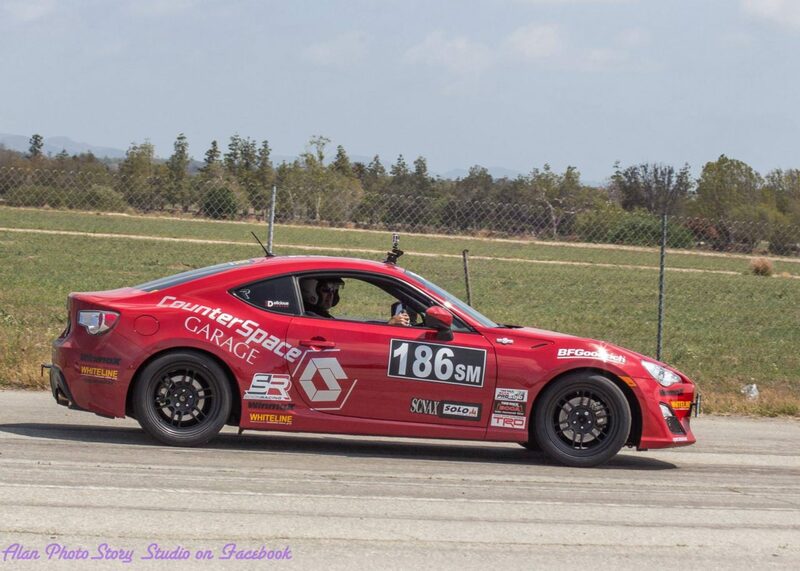 Some really nice shots by Alan PhotoStory Studio in there, and go check that link for more excellent action shots. 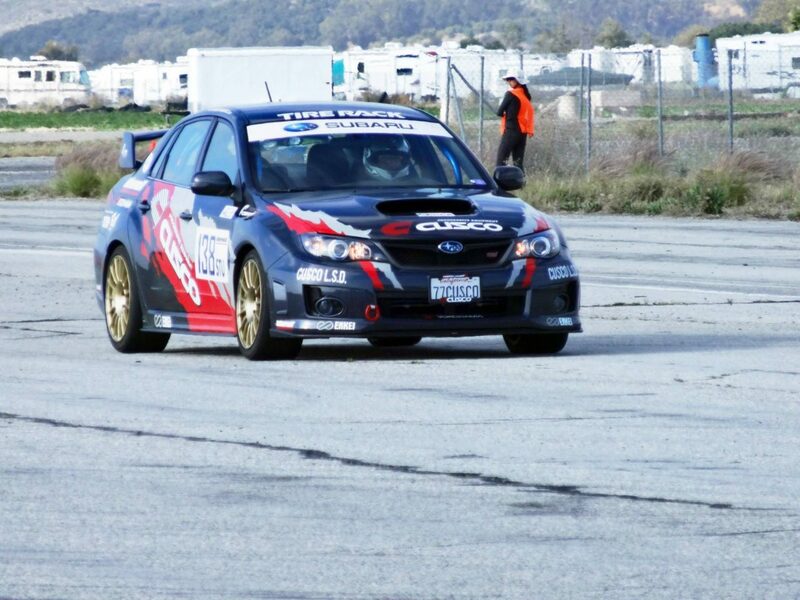 Weather was mild, superb breezy day, both cool and warm ideal for a grueling two-day motorsports event. 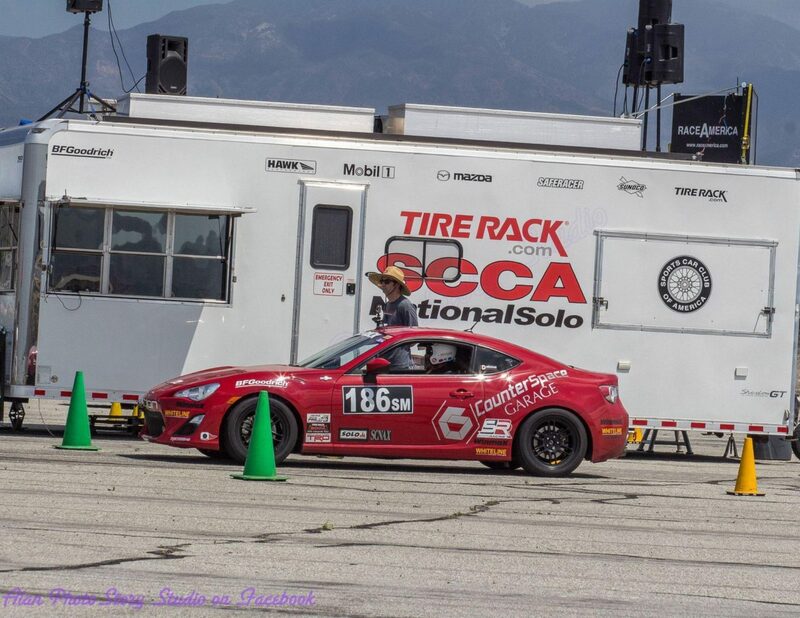 As always the SCCA SOLO2/ProSolo members are the most accommodating family of people, both strict, and fair, and at the same time, welcoming, helpful, and fun. 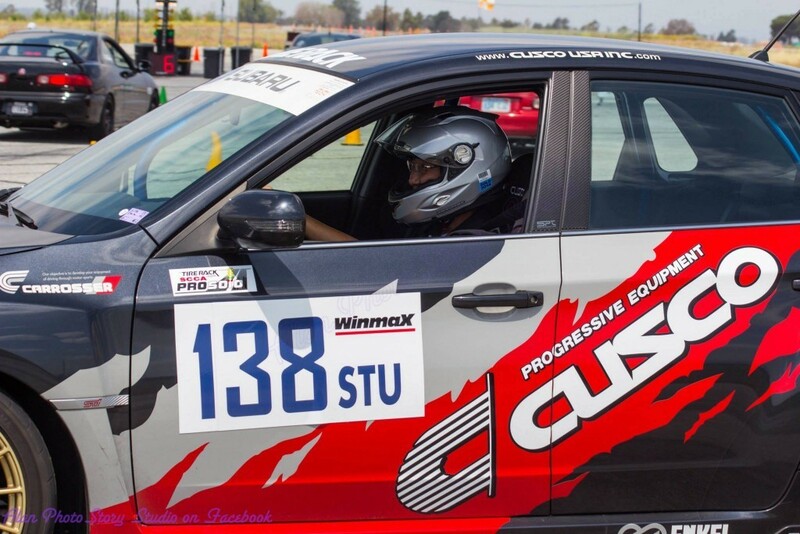 When it comes to partaking in a pro-level motorsport of sheer technical driving, I don't think there is any other sanction where you can be so competitive and still be safe, and relatively modest on costs. 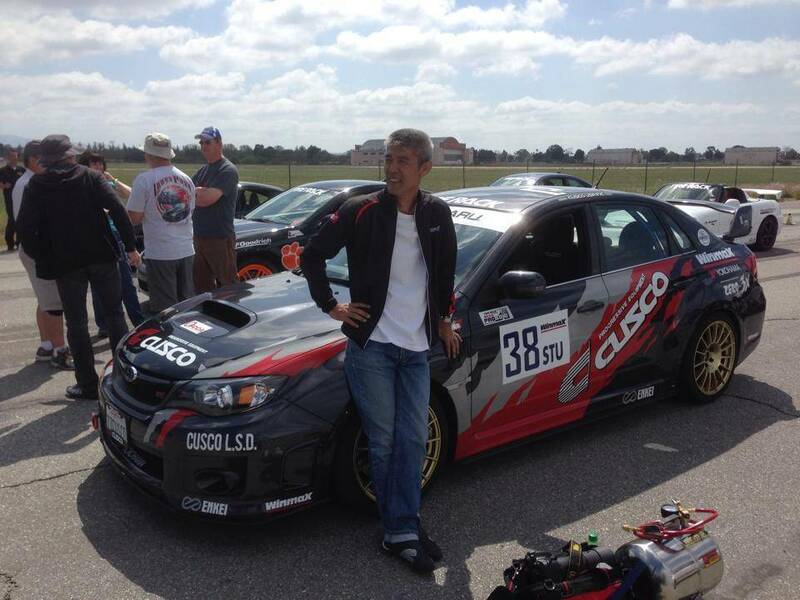 This weekend was a spot-entry for Mr. Masaki Nishihara from Japan. 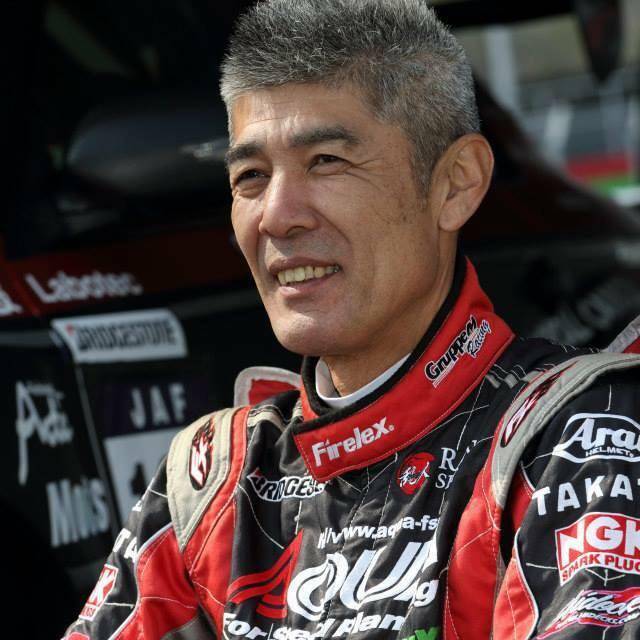 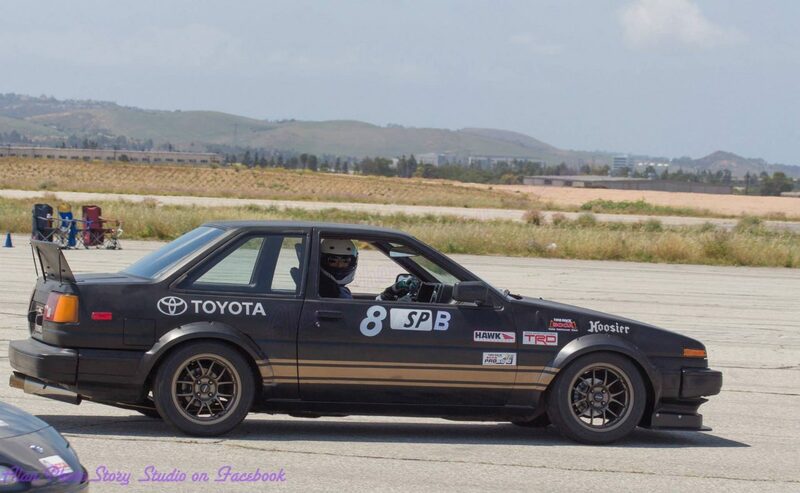 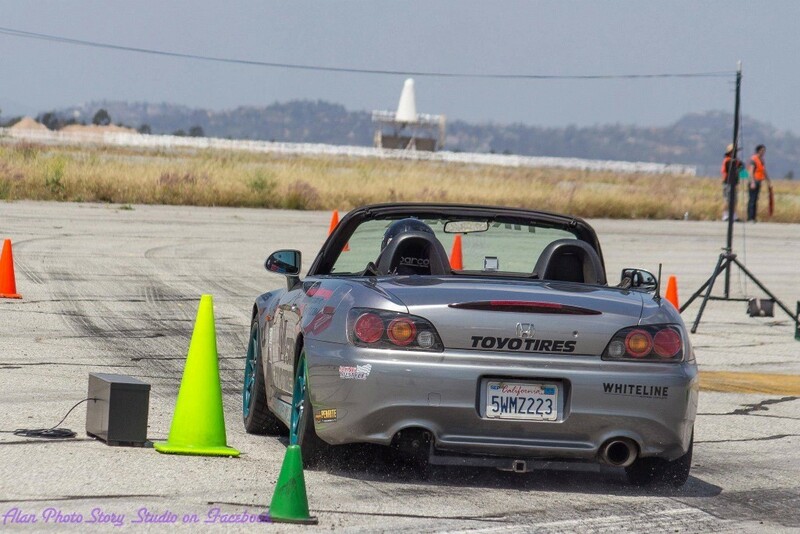 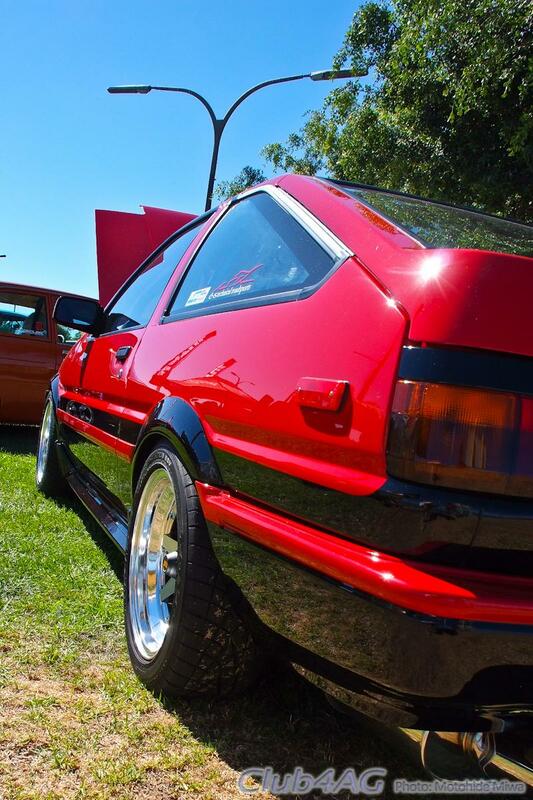 A rookie at SCCA, but in his home turf, a 7-time All-Japan Gymkhana Champion with 32 years of cone-dodging under his belt. 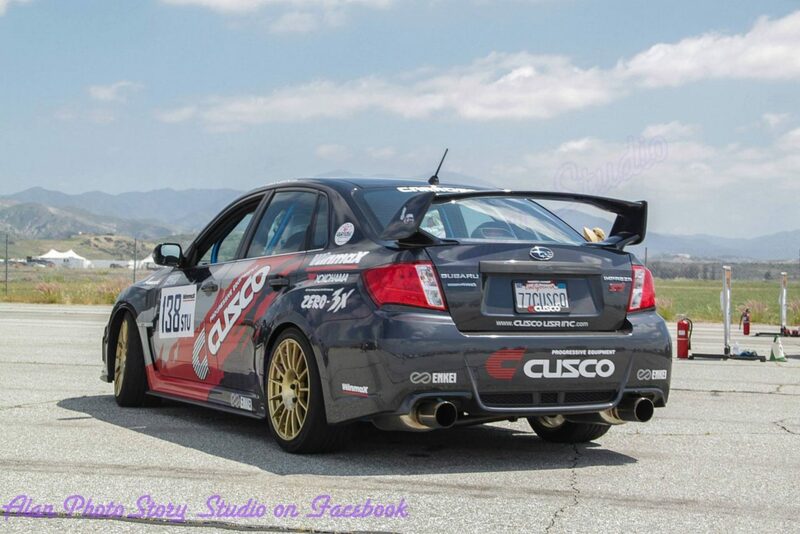 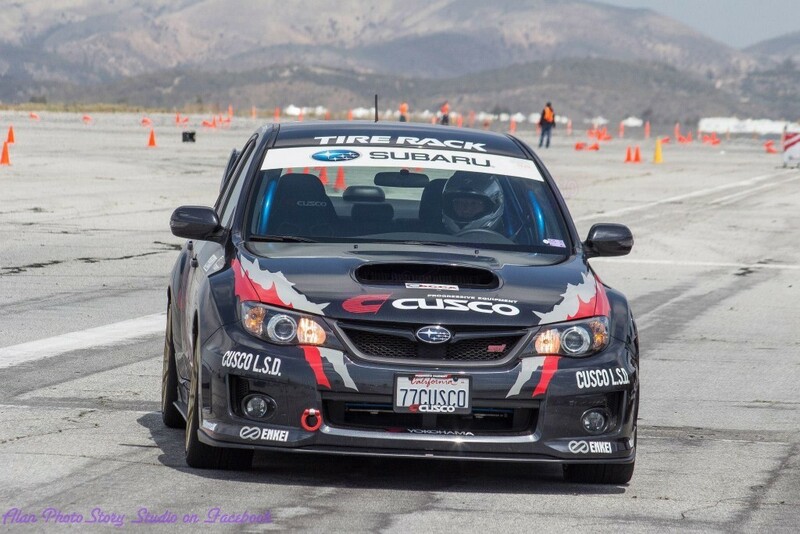 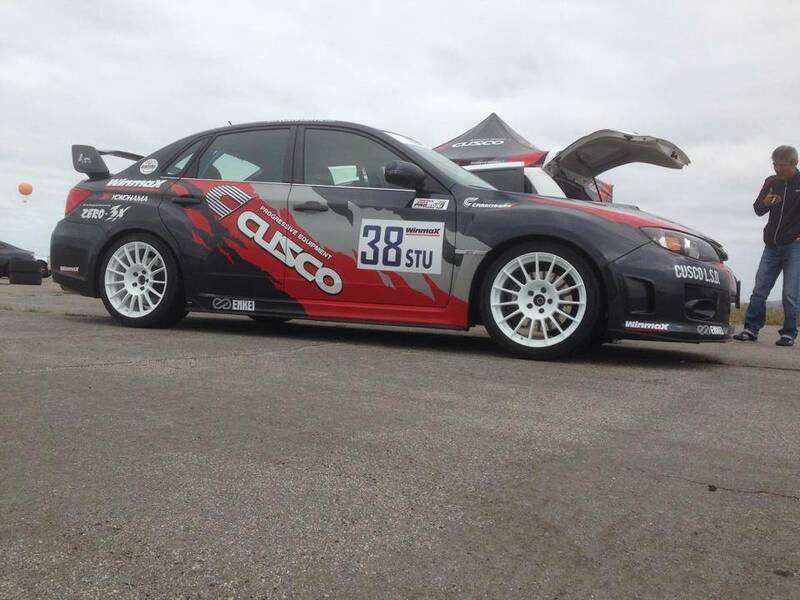 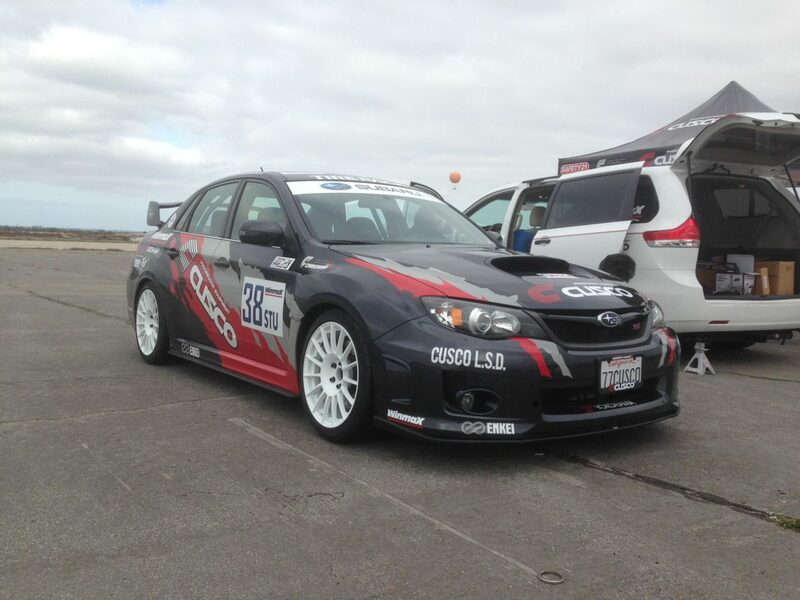 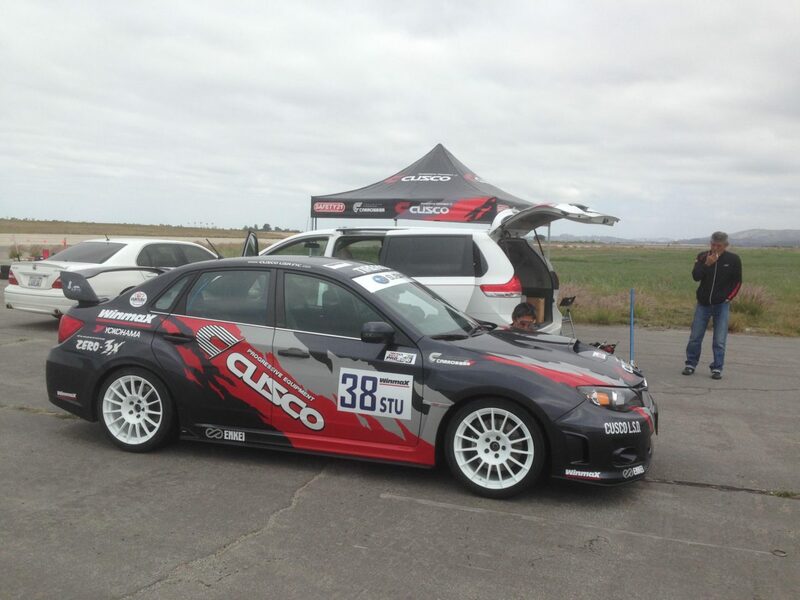 It was a last minute plan to bring him to the Pro-Solo as a guest entry, so we scrambled to legalize and prep an existing Cusco Subaru STI, retiring it from show-display role to a compliant SCCA car. 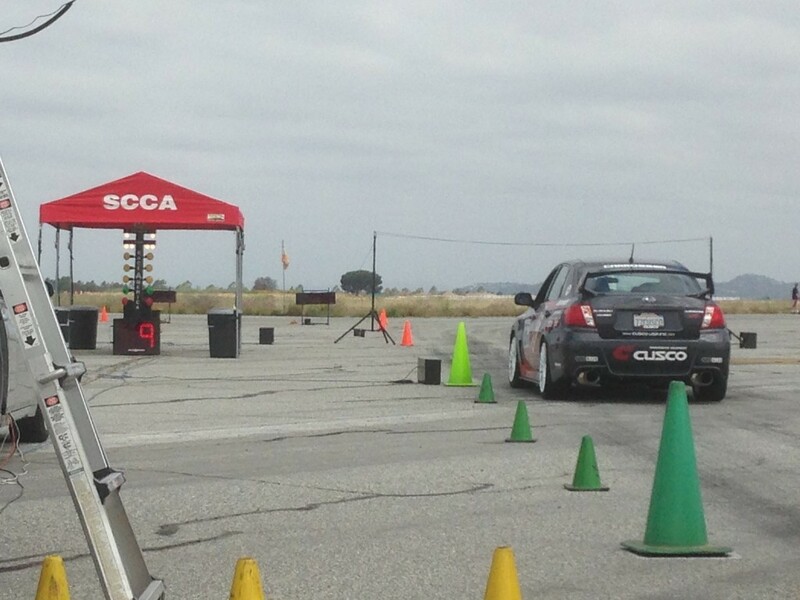 Now the regulations of the SCCA Solo cars are extremely rigid, and at the pro-level, all of the cars that compete are made by folks who do this year-in, years-out and with a very specialized skill-set... 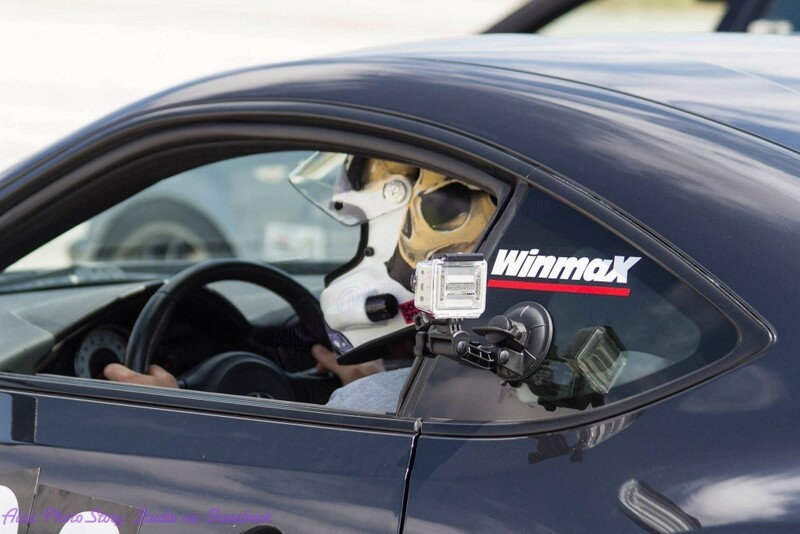 So it is always a humbling experience for even a professional driver and established team to make a spot-entrance to these Pro-Solo competitions. 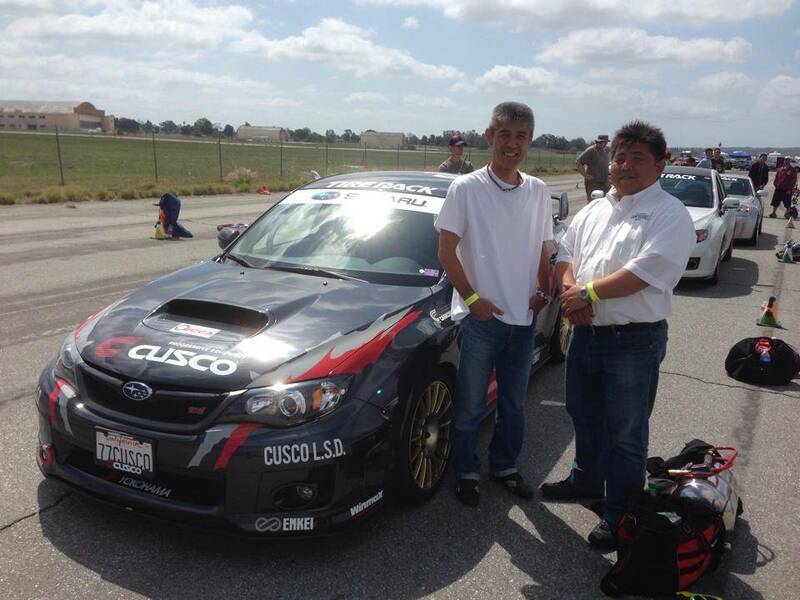 But like any other times in my life when I visit the SCCA National Tour/ProSOLO folks, they were accommodating as ever, and took their time to befriend out guest driver, Masaki from Japan. 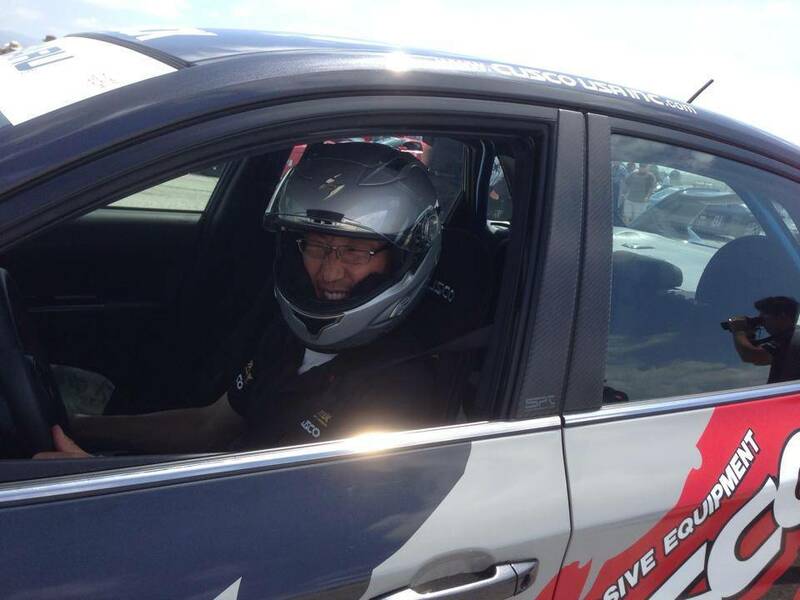 Warm and welcoming, and enthusiastic making him feel so at home. Same courtesy extended to Kenji, Yuki, and Steve Enomoto, who also came to support the car as team rookies too. 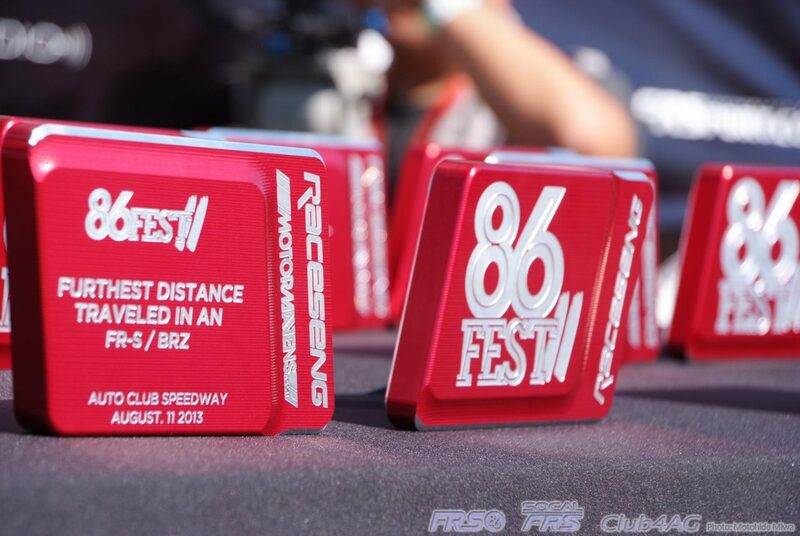 I've shaken hands with and exchanged greetings with the National Tour folks whom I haven't seen for 11 years, since our Club4AG AE86 National Tour campaign days, like Tom Berry, Grady Wood, Sandy and others. 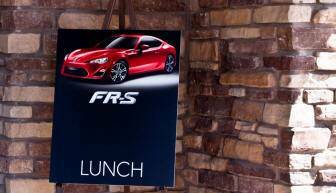 Boy that was the nicest reunion for me, as things haven't changed a bit! 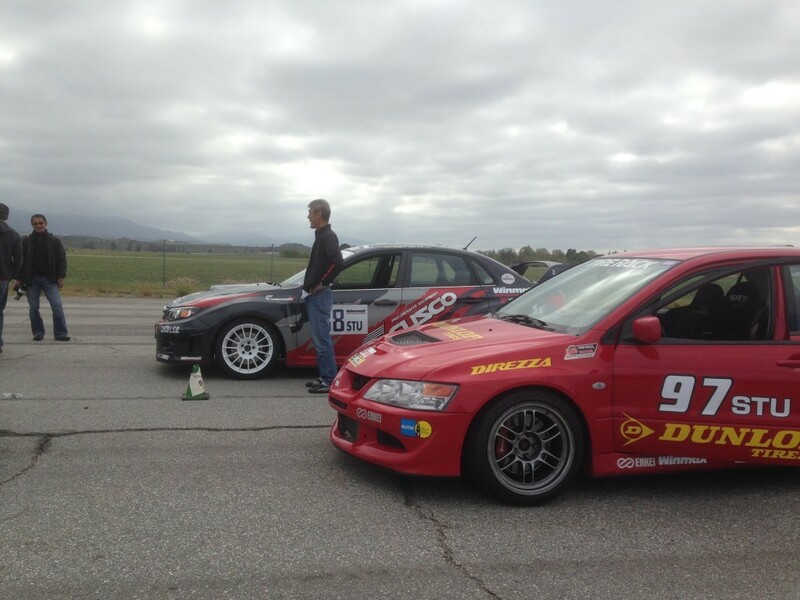 ALL FUN, all sincerity, and all that is the best of American culture. which could have been a technical violation, but seeing how costly things can become for a one-time entry, but as guest entry car and driver, and not anywhere near contention pro-car's specs, SCCA Officials were happy to let us have our fun. 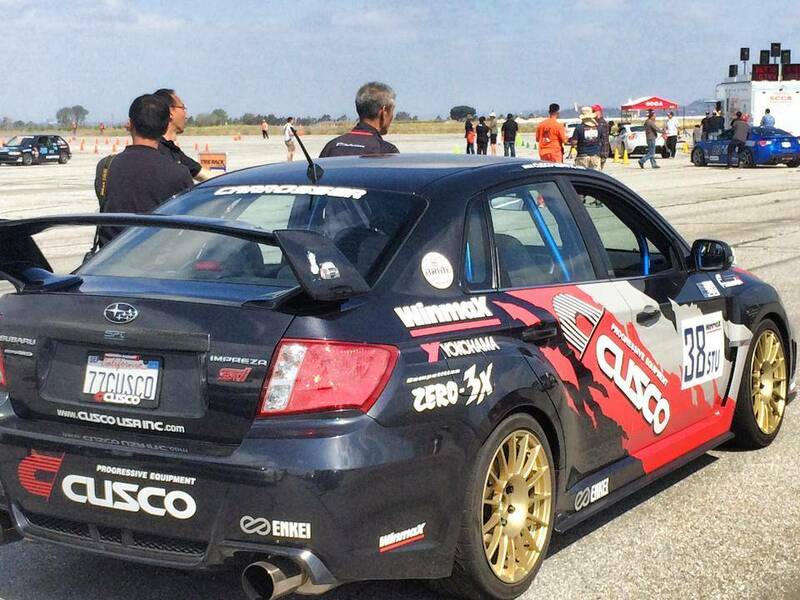 Our Cusco WRX STI came in 7th and 8th overall in STU after the two-days, with faster runs made by the Japanese champion, Masaki. I, myself, chipping away with best of what I had, in my own first AWD entry, without acclimating to the complex deciphering at the quirks of electronic center differential and Masaki's flavor of a sharp, tricky suspension settings. 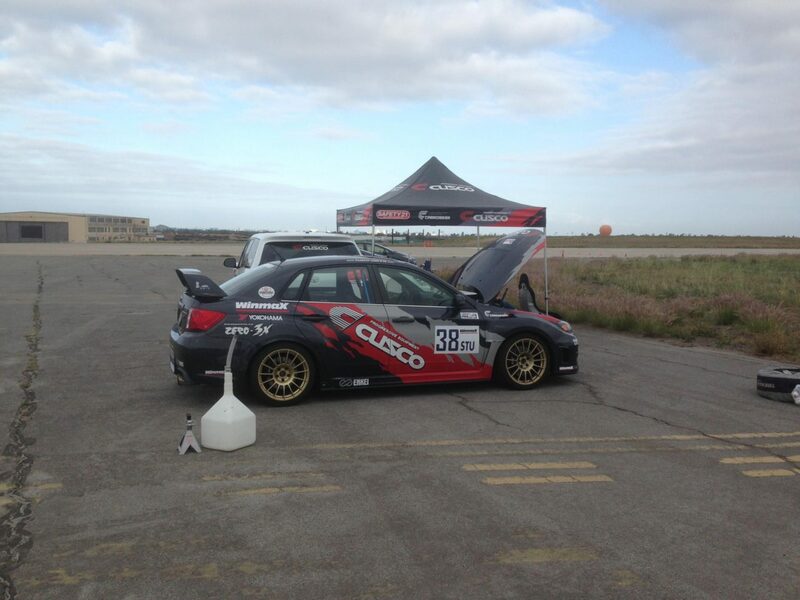 With Cusco's parts being fully loaded and designed for other categories of racing, it wasn't the lightest of the bunch either, tipping scales at 3580 lbs. 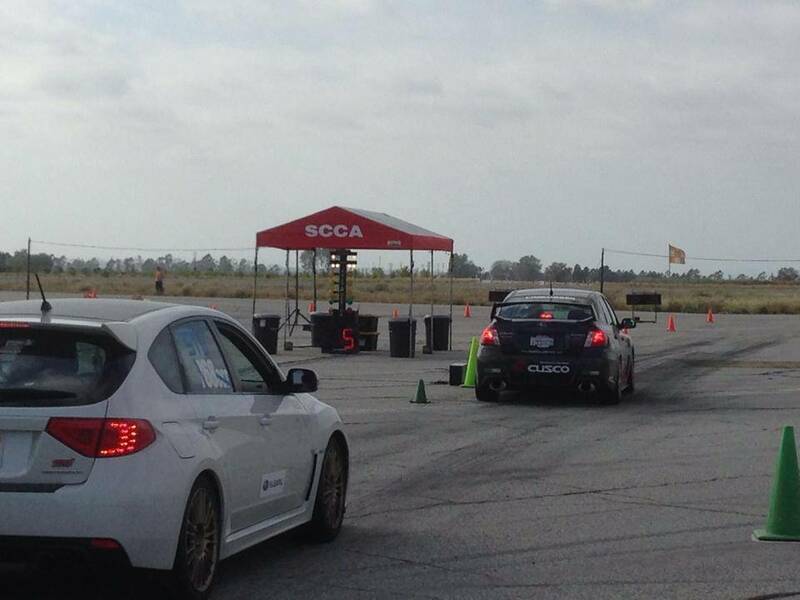 But again, it was a fun-day for us, and we are grateful to the staff at SCCA for allowing our entry and participation for the guests from Japan. 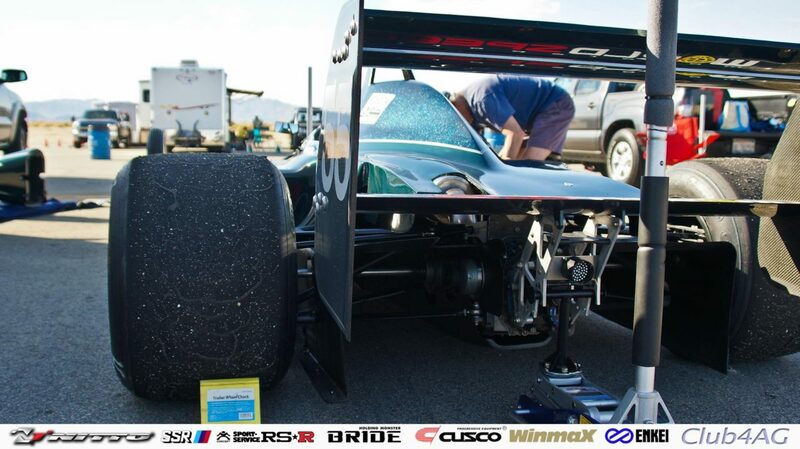 The other areas of the pits included several cars that are participating on Winmax brakes for the first time in 2014. 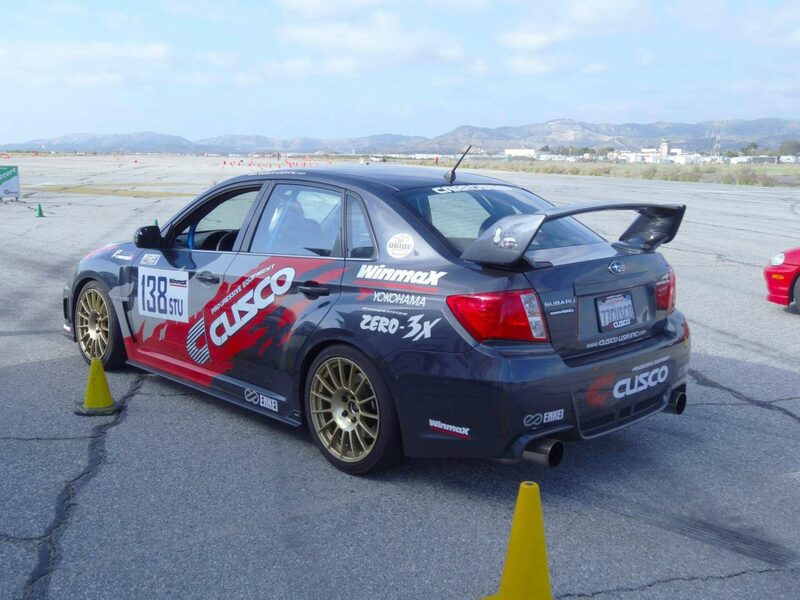 Winmax competition brake pads have become a favorite for many of our neighboring competitors here in SCCA SOLO within just a few months of testing. 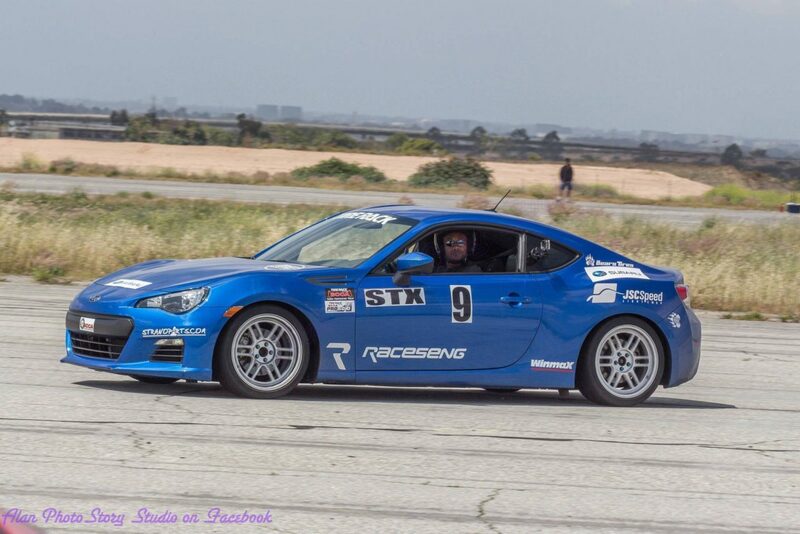 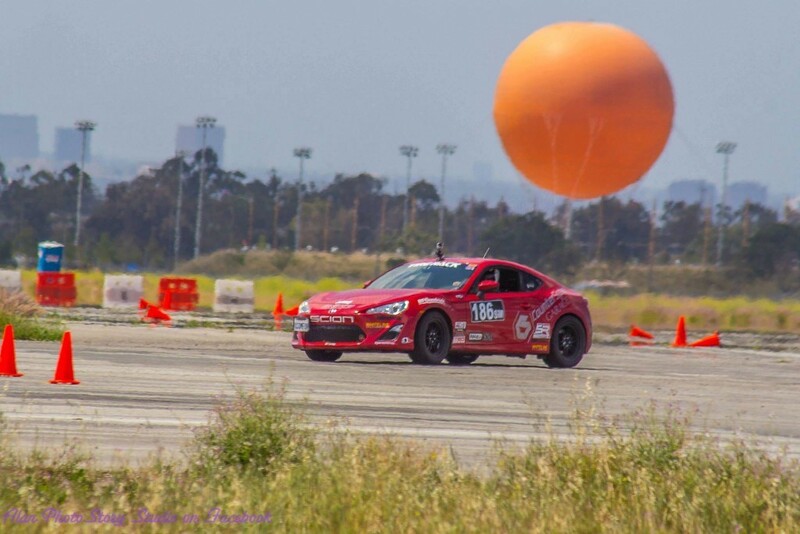 Robert Stangarone and his Scion FRS in SM, was one of the most active cars, where many competitors are watching this year, to see where it will place in contemplation of the car-choices in the seasons to come. Ken Motonishi, the veteran pro around here has taken into his mission this year to find the best tune for the brake pad sets too, and helping others with the product selections as well. 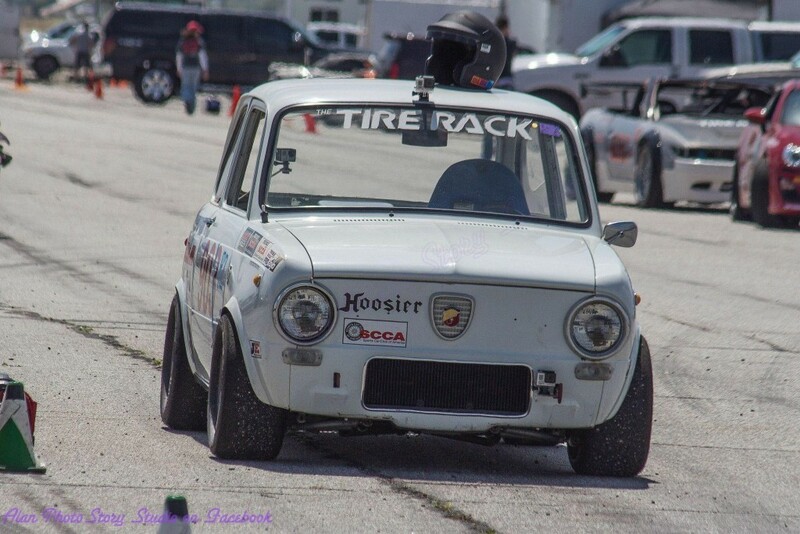 All in all, what a wonderful weekend... 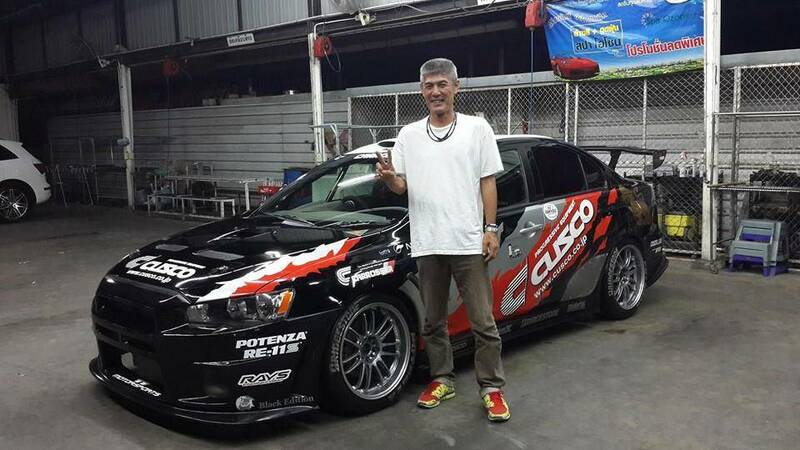 Totally a joy. 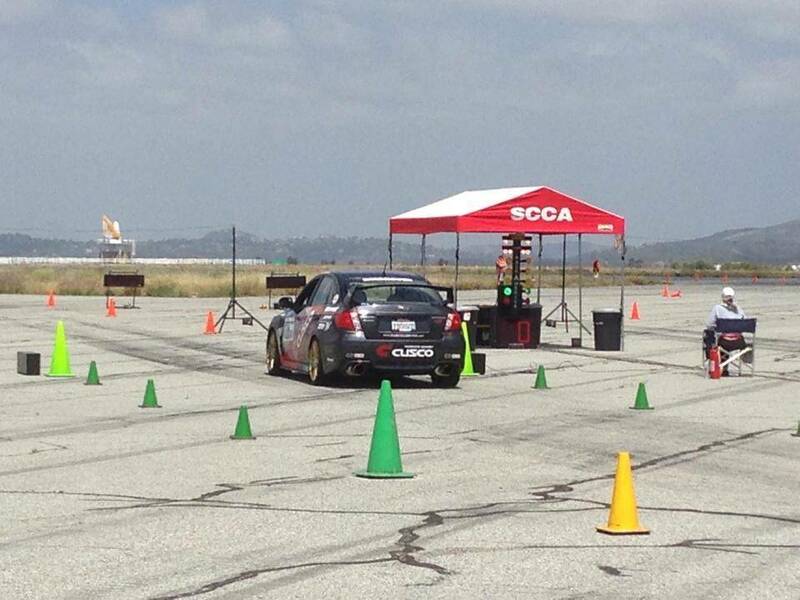 Way to go SCCA SOLO!